Criminal Defense - McCamley & Branchaud, P.C. Matthew S. Branchaud, Esq. is also a criminal defense lawyer in Vermont, and can handle cases in Middlebury, Rutland, Killington, Brandon, Southern Vermont and more. 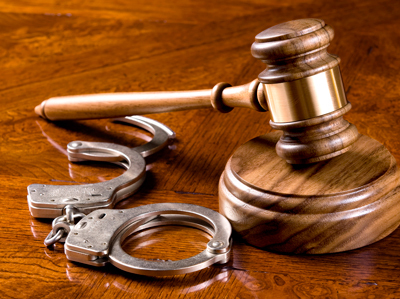 A criminal defense lawyer, also known as a defense attorney, is a lawyer specializing in the defense of individuals and companies charged with criminal activity. Matt Branchaud deals with the issues surrounding an arrest, a criminal investigation, criminal charges, sentencing, appeals and post-trial issues. He specializes in DUI and DWI defense but is well-versed in other criminal defense as well. An arrest simply means a police officer or judge believes probable cause exists that a person committed a crime. Since an arrest is usually made by law enforcement, the arrest often is for a criminal charge that has not been levied or verified by an attorney or judge. Matt also deals with the substantive issues of the crimes with which his clients are charged. He may also help clients before charges have been filed by a prosecuting attorney. This is done when someone believes he or she is being investigated or is arrested. The accused may hire a criminal defense lawyer such as Matt Branchaud to help with counsel and representation dealing with police or other investigators, perform his or her own investigation, and at times present exculpatory evidence that negates potential charges by the prosecutor. Matt Branchaud has a clear understanding of the United States Constitution. The Fourth Amendment protects against unlawful searches and seizures while the Fifth and Sixth Amendments govern the right to remain silent so one does not become a witness against himself. All of the Amendments to the United States Constitution are guaranteed to the criminal accused against the states via the Fourteenth Amendment. Matt understands each of these rights. Initial work on any criminal case involves a review of the charges and the claimed facts, and analysis of constitutional violations, the prima facie burden of the prosecution, defenses, and affirmative defenses; as well as potential sentence and sentencing issues. Early stages of a criminal case may involve a grand jury or preliminary hearing to determine if there exists probable cause for the case to continue. A violation of the Fourth or Fifth Amendment, or other illegally obtained evidence could result in evidence being inadmissible at trial. Accordingly, Matt often spends a considerable amount of time reviewing all documentation to determine if the case can be won on constitutional grounds due to illegal conduct by the government. Matthew Branchaud typically defends people with misdemeanor or felony charges. A misdemeanor generally refers to criminal activity that is punishable by one year or less in the local jail. A felony typically refers to criminal activity that is punishable by more than one year in the prison system. Many states have “wobblers”, which refers to criminal activity that is charged as a felony but has a possibility of being reduced to a misdemeanor. In matters involving a wobbler, Matt can try to either have the felony reduced to a misdemeanor or in the alternative have the felony appear to be a misdemeanor so that the felony can be reduced to a misdemeanor at a later date, which is a good strategy since the typical felony cannot be expunged.